The Golf Club 2019 has been out now for over a month and while the game has received hearty praise from fans and decent reviews, there were some significant aspects of the game that required tuning and fixes. Now some of those will come today with the first post-release updates that include the addition of Atlantic Beach Country Club and new character customization options through free DLC plus a number of fixes based in part on consumer feedback. 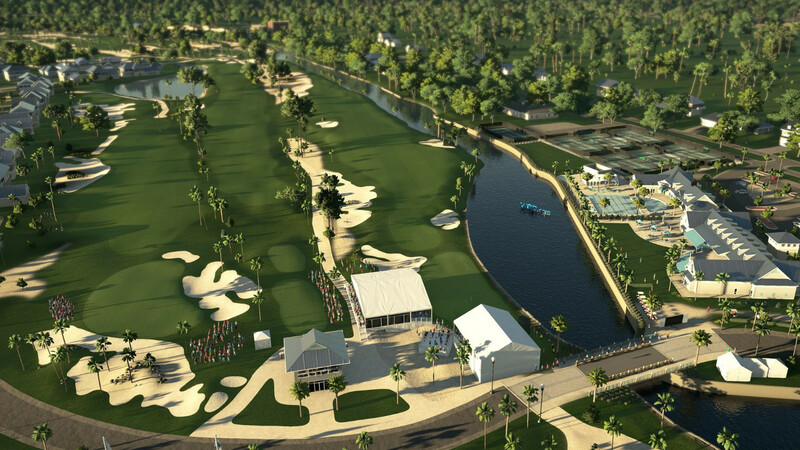 ♦The first update will include an all-new licensed PGA TOUR course for free, Atlantic Beach Country Club, which is home to the TOUR Championship where some of the world’s best golfers compete for their PGA TOUR card and a shot at becoming professionals. The new course will be integrated into the PGA TOUR Career Mode schedule, as well as all other modes and matchmaking options. ♦The first update also introduces new character customization options, including new PGA TOUR branded hats. ♦Fixed the menu background moving unnecessarily when switching between the main menu and the character editor. ♦Added support for viewing the clubs of ghosts from the View Golfer menu. ♦Added support for editing local guests directly from the Character Editor button in the main menu, when there are local guests in the user’s golf group. ♦Added support for local guests to edit and customize their clubs in the character editor, via the Edit Golfer button in the popup when clicking the guest’s name in the match setup screen. ♦Fixed hangs related to rapidly navigating leader boards. ♦Fixed incorrect capping of handicaps. ♦Expanded character customization options. Available skin tone options expanded. New licensed clothing added including PGA TOUR and Tattoo Golf Hats. ♦Improved stability throughout gameplay and course designer. ♦Fixed a framerate hitch that could occur shortly after entering gameplay. ♦Fixed the hole cup casting a shadow on the ground. ♦Fixed certain cases of terrain shadow flickering on hole 9 of Kipahulu Reserve. ♦Fixed the “Club Only” shot suggestion setting not working properly. ♦Improved lighting and wind effect on trees. ♦Fixed users not being able to join private online societies. ♦Fixed the display of Society Purse payout for first prize. ♦Fixed issue of Online Society restrictions carrying over and overwriting the round 2 settings if advancing from the end of round screen. ♦Fixed mini leaderboard not showing the users score if they’re outside of the top 5. ♦Fixed mini leaderboard between rounds displaying totals for the event. ♦Fixed mini leaderboard to properly display the users rank for the round/event. ♦Fixed FedExCup Points not being rewarded correctly in the season Championship. ♦Users will now play in the final groupings throughout Career and Solo Societies. ♦Added Support for Wagers Playlist for users to play Skins matches in matchmaking. ♦Fixed awarding of points in skins when there is a carry-over skin from a previous hole. ♦Fixed users in a party being split up when playing team based matchmaking games. ♦Fixed Skins matches ending when one user quits before the end of the round. ♦Fixed entry/exit flows when transitioning between tools. ♦Updated button callouts to address missing icons. ♦Fixed the green grid to refresh when making height edits on a course. ♦Fixed brush dragging to create a smooth look after generating. ♦Fixed scale speeds when toggling between advanced and normal for objects and brushes. ♦Fixed brushes to no longer have their scale reset when entering and exiting brush tools. ♦Fixed height brushes to no longer have height value change when entering and exiting. ♦New Course flow sets the values for a theme properly before your first edit. Fixes issues of disappearing water on some themes. ♦Fixed the overwriting of course thumbnails with every save.